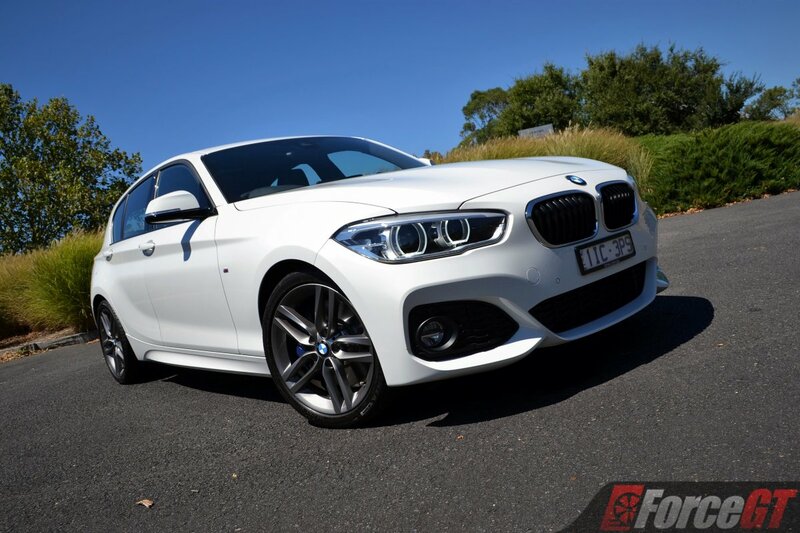 The BMW 1 Series is a strange proposition in the market place. 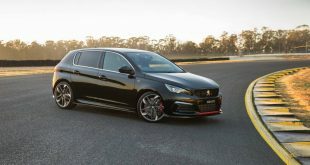 At the premium space it competes against the Audi A3, Mercedes-Benz A-Class and Lexus CT. Closer to the mainstream end its pricing of circa $40-50k puts it right among hot hatches like the Volkswagen Golf GTI, Peugeot 308 GTI and Ford Focus ST. Of course, both the Audi and Mercedes also face the same problem. But BMW is pitching the 1 Series as the true sporty hatchback (being the only rear-wheel drive hatch available). The thing is, at this end of the market buyers are either looking for the least costly option to get behind a premium badge, most of whom couldn’t be bothered about driving dynamics, or enthusiasts who want the most performance for the money. 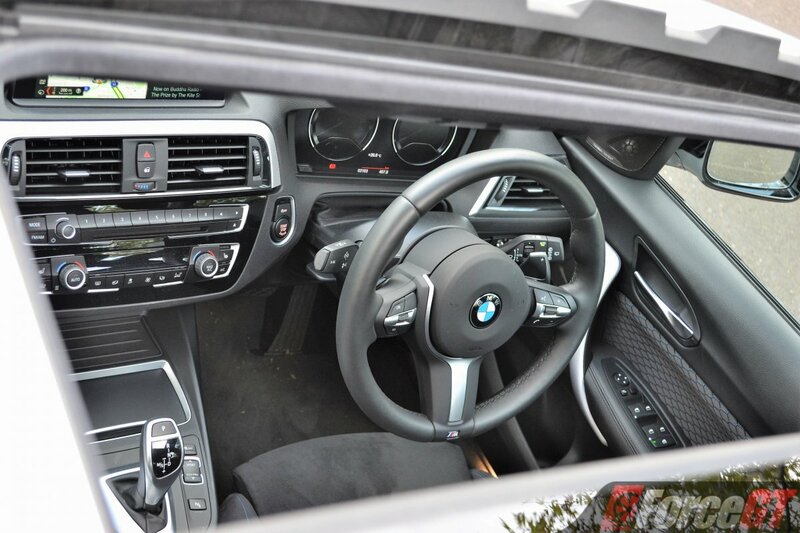 The 1 Series’ rear-wheel drive architecture and 50/50 weight distribution result in a tight interior, which gives its premium-badged rivals an upper hand in luring the former group of buyers, while the BMW’s less dramatic exterior styling means the latter would flock towards those mainstream hot hatches. 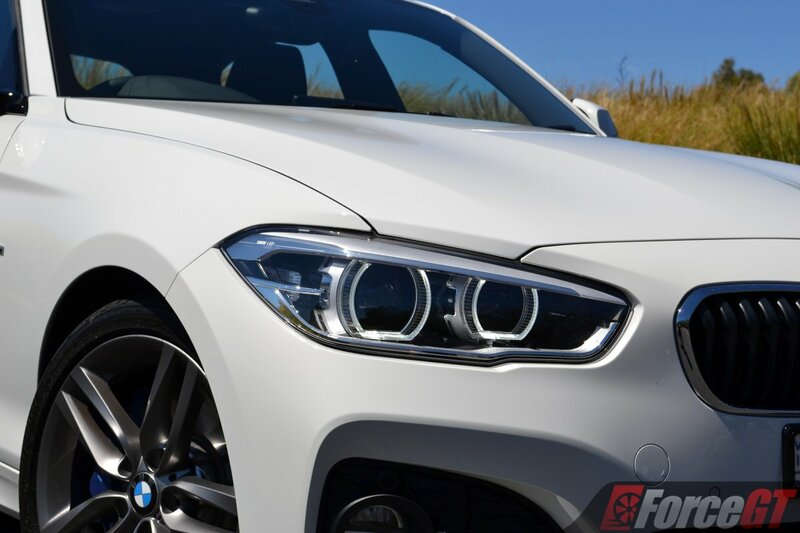 It’s often overlooked, this 1 Series. And it should not be. 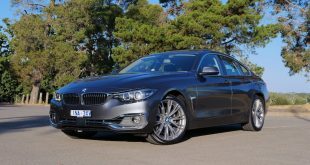 Paired with the right engine (not one with a 3-cylinder lawn mower), this baby beemer is capable of serving up some of the most engaging and rewarding drives on the less damaging side of $50k. 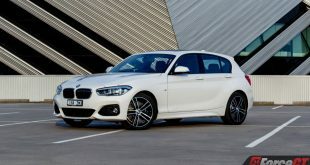 This brings us to our 125i test car, the second-from-the-top model in the 1 Series’ expansive five-tier line-up, which BMW says is the ‘gem’ of the range. 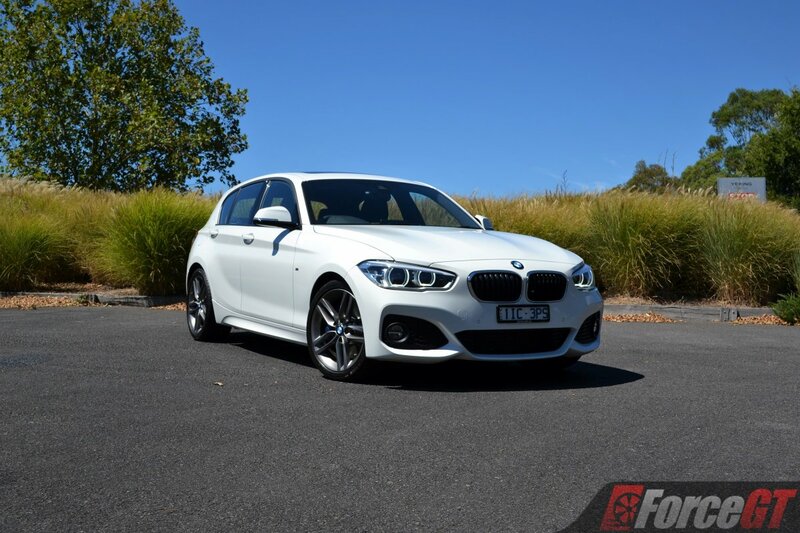 Priced from $49,990, the 125i packs a turbocharged 2.0-litre four-cylinder petrol engine that produces a healthy 165kW at 6500rpm, accompanied by 310Nm of torque spread across from 1400 to 5000rpm. Drive is channeled to the rear wheels via an eight-speed automatic gearbox. For purists, a six-speed manual is available as a no cost option, which neither the A3 or A-Class has. 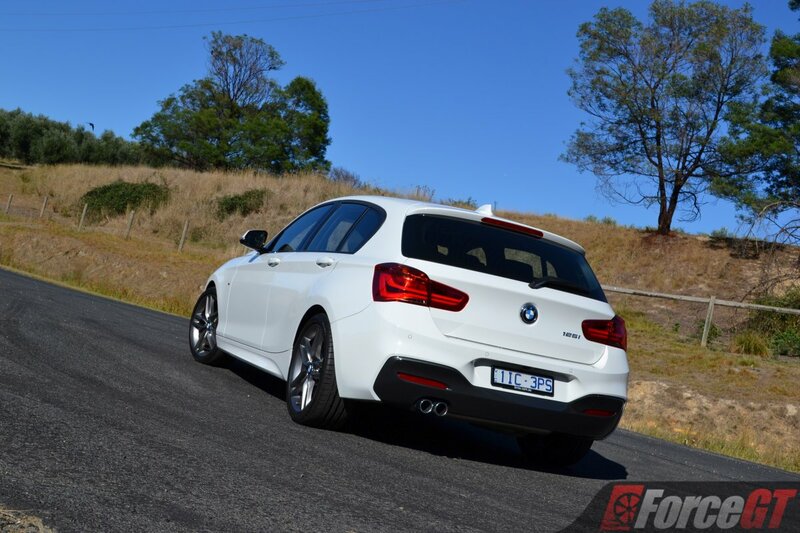 BMW claims 0-100km/h sprint time of 6.1 seconds, which places the 125i among the quickest in the competition. 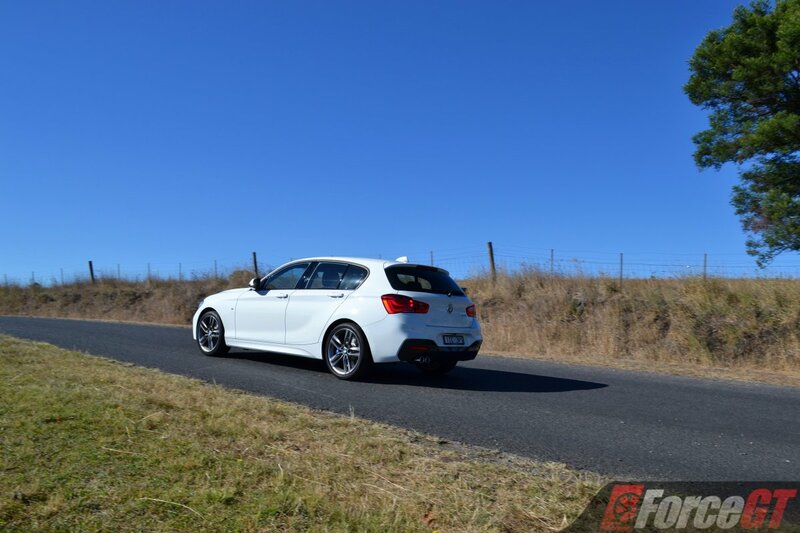 It could, however, be even quicker had the 125i received the same engine tune as the 230i coupe, which has the same 2.0-litre turbo four but makes a more potent 185kW and 350Nm. 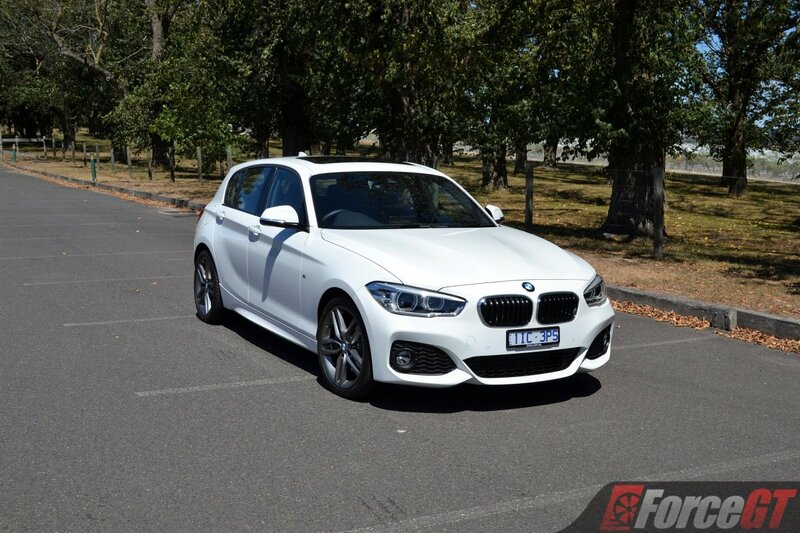 It’s anyone’s guess why BMW does not instead offer a 130i with the higher output engine. Nevertheless, the turbo four is a sweet sounding engine with a satisfyingly raspy exhaust note when opened up. Cruising around, it’s very refined, too, with linear power delivery and good throttle response, only let down by the gearbox’s occasional hesitation in grabbing a lower gear – all in the name of conserving fuel. That said, the conventional torque converter ‘box is much smoother in heavy stop start traffic than some rivals’ clunky dual clutch automatics. As expected from this company, the rear-drive chassis is brilliant. A light, impressively locked down front end allows for eager turn in, helped by a rear that is ever so willing to rotate and point the nose deeper into the apex. 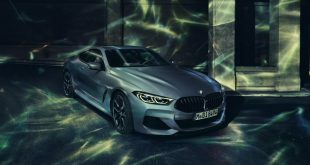 You can tighten its line even further with the throttle while making minute steering adjustment – a hallmark of BMW rear-drive dynamics. It feels balanced and neutral. The brakes are strong and assuring and the steering is precise and sharp but could do with more feedback. Overall though, it is very much a driver’s car. 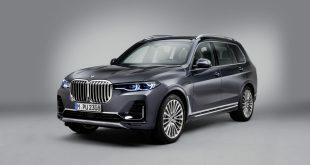 Around town, the sport-biased suspension – struts at the front and multi link at the rear – can transmit more bumps and imperfections than desired into the cabin. 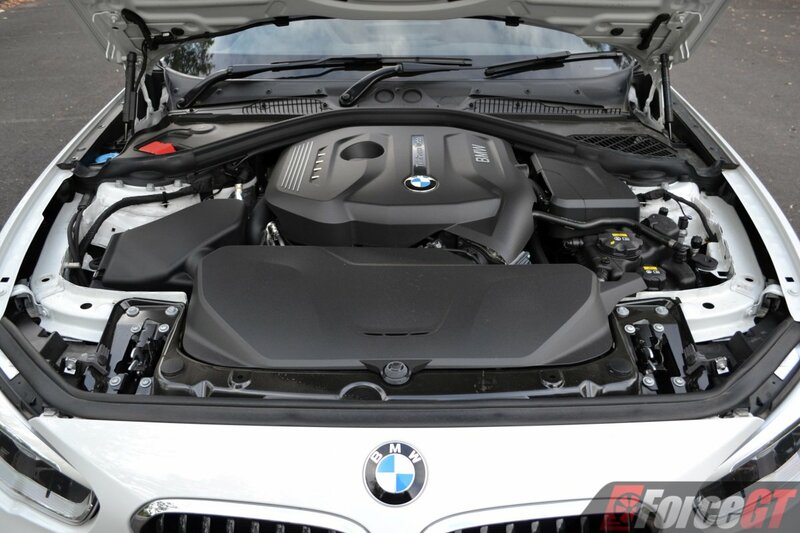 Where most performance orientated cars settle down considerably at higher speeds, the BMW’s ride remains busy. That’s not to say it is harsh, far from it, but for the best balance of comfort and handling the optional adaptive suspension ($1092) might be worth taking up. The run-flat tyres are a little noisier at highway speed but this should be easily fixed by cranking up the excellent 12-speaker Harmon-Kardon sound system (though a $1,192 option). 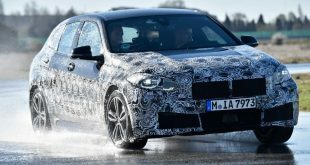 The 1 Series’ unapologetically rear-wheel drive silhouette means the visual bulk is towards the rear of the car, combining a relatively long bonnet with a boxy rear end. 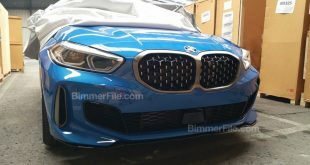 The design may not be everyone’s cup of tea but the short front overhangs and pronounced rear haunches work to give the car a purposeful stance and plenty of road presence. Inside, the design is functional and driver-oriented, albeit starting to show its age a little. 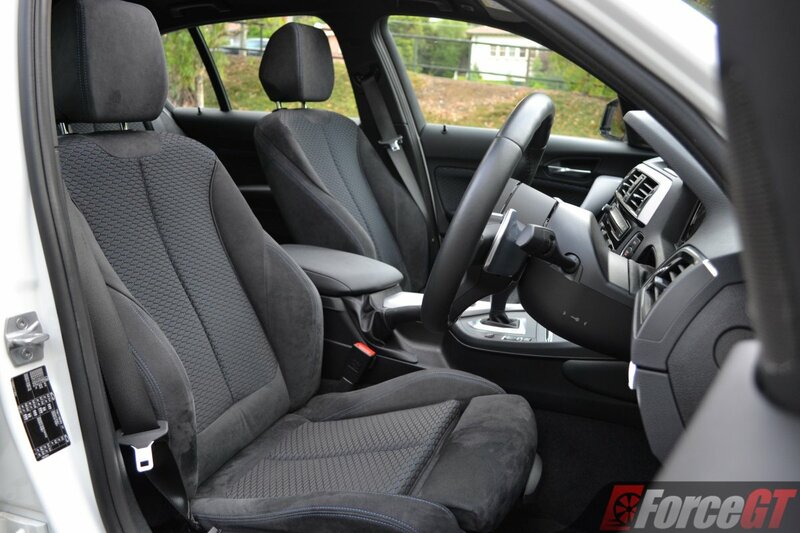 The driving position is spot on, you sit low and tight, with excellent visibility all around. 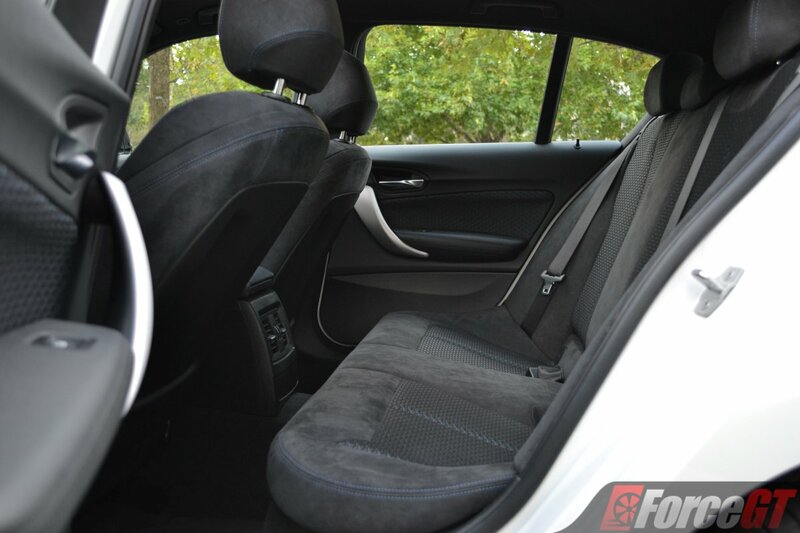 Practicality wise however, the rear seats are tight both in legroom and shoulder room. Being rear-wheel drive, there’s also no escaping the bulky driveshaft tunnel robbing precious legroom of the rear middle passenger. Rear passengers will also not appreciate the lack of seat back pocket and cup/bottle holders. 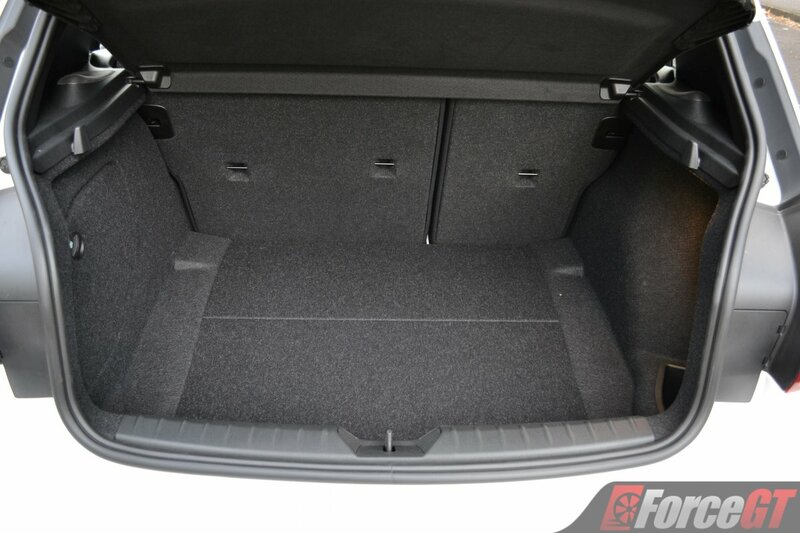 Cargo volume isn’t the most impressive either, with the boot packing just 360 litres of capacity, extendable to 1200 litres with the split folding rear seats tumbled. 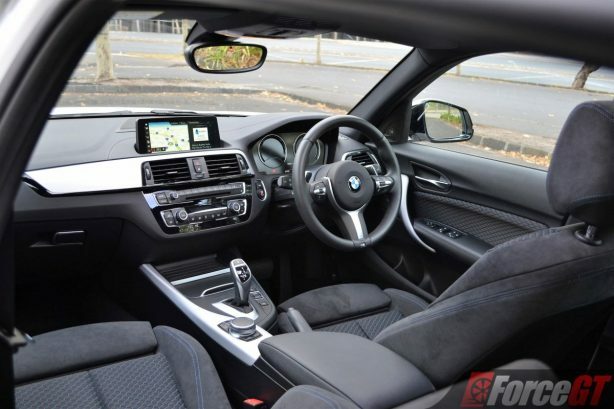 The 125i comes standard with the M Sport Package which consists of the M Sport suspension, M Sport brakes and M leather steering wheel. 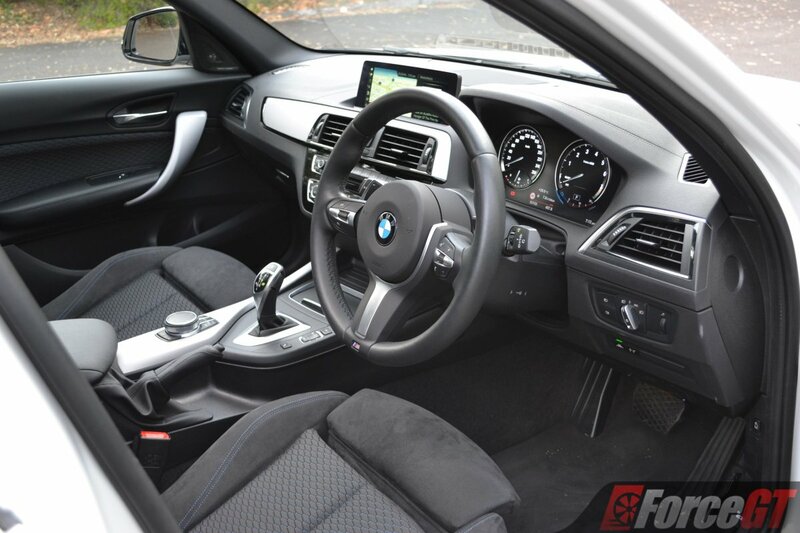 Also equipped as standard are 18-inch light-alloy wheels, cloth/Alcantara upholstery, black Anthracite roofliner, rear view camera, DAB+ digital radio and Navigation System Professional with 8.8-inch touch screen. Essential features such as keyless entry, powered front seats and seat heaters still come at extra costs, however. And typical of BMW, options can be very expensive. For under $50k you can either buy the BMW 125i which, with its fun and engaging drive, will etch a grin on your face everyday, or buy one of its blander luxury rivals. You can also go down the path of mainstream hot hatches, which cost a little bit less but do not have a desirable badge. I like my driving and I like a premium badge. I know which one I’d rather get.